Today, MSU's Veterinary Medicine Historical Collection continues to grow in size and prestige. Recently an extremely rare sixteenth-century Latin translation of the Greek manuscript Kynosophion, the first work on the care of dogs, was acquired. 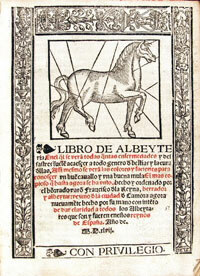 Catalogue of Rare Veterinary Books and Allied Subjects in Animal Husbandry - A catalog of some of the more unique items in our Veterinary Medicine Collection. 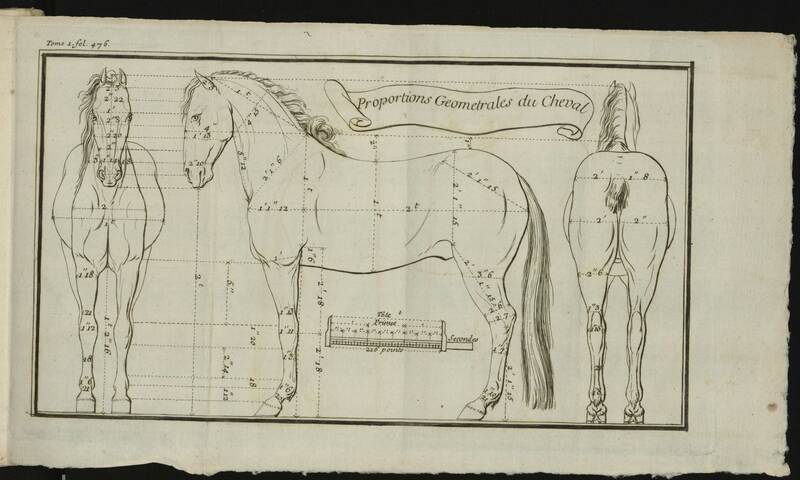 "Proportions Geometrales du Cheval," illustration from Claude Bourgelat, Élémens d'Hippiatrique, ou, Nouveaux principes sur la connoissance et sur la médicine des chevaux . A Lyon: Chez Henri Declaustre … les Frères Duplain…, 1750-1753. Tome 1, [pg. 476]. 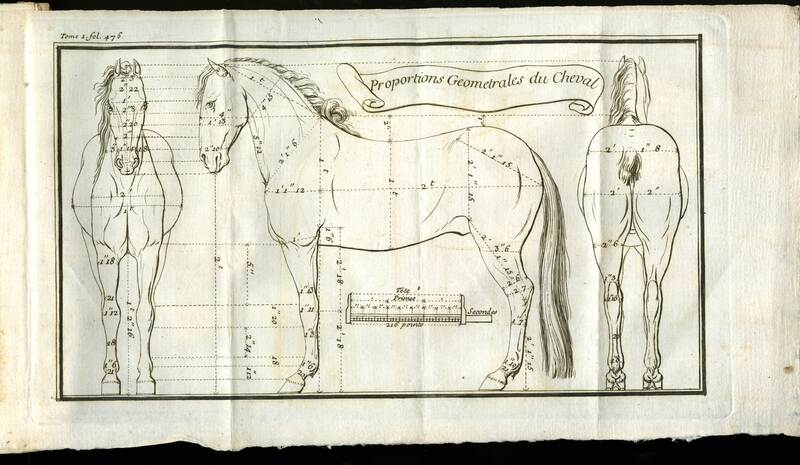 In 1761, in Lyon, France, Bourgelat founded the world’s first school of veterinary medicine. Image 1 or Image 2 Image 1 is a larger file than image 2.